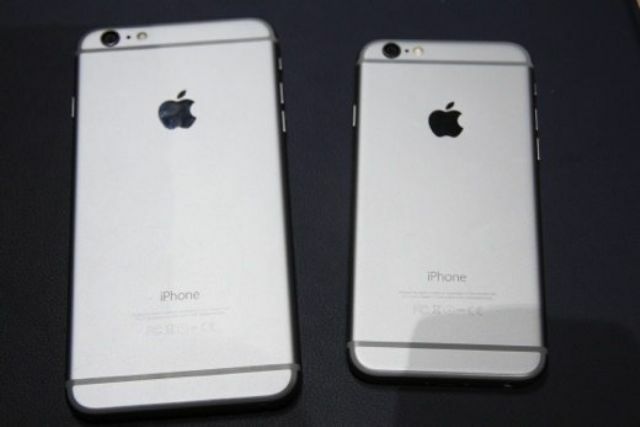 Apple’s iPhone 6 has been a top seller worldwide since launched in mid-September 2014 (photo courtesy of UDN.com). Taiwan-based Wistron Corp., an EMS (electronics manufacturing service) firm and recognized as world's top-5 laptop ODM (original design manufacturer), has reportedly been contracted by Apple Inc. to supply iPhone 6s and to kick off trial production of the hot-seller in the first half of this year, according to industry sources. While declining to confirm such news report, Wistron did reveal at an investor conference held earlier that it will the join the group led by the biggest smartphone vendor in North America this year, hence institutional investors' belief that Apple has made Wistron one of its suppliers for iPhone 6s. Wistron will then become Taiwan's third supplier of iPhones, following Hon Hai Precision Industry Co. and Pegatron Corp., to also likely see its smartphone shipments surge to an estimated 23.5 million units this year for a 104% growth over last year. Actually Wistron had already shipped some 5-10 million units of iPhone 5c since H2, 2014, during which its overall shipments of smart devices totaled 15.7 million units, sharply down from 26.6 million units a year ago, to which institutional investors attribute production adjustment to improve yield rate of Apple's smartphones. To cope with continuous meltdown of the global laptop industry, Wistron has diversified production into non-laptop products over the past few years. With iPhone 6s to add to its production list, the firm is expected to raise its capacity utilization rate and look forward to promising future in the short term. Wistron reported annual revenue of NT$591.99 billion (US$18.67 billion) for 2014, including NT$60.40 billion (US$1.90 billion) in December, down 5.15% and up 25.21%, respectively, year-on-year.